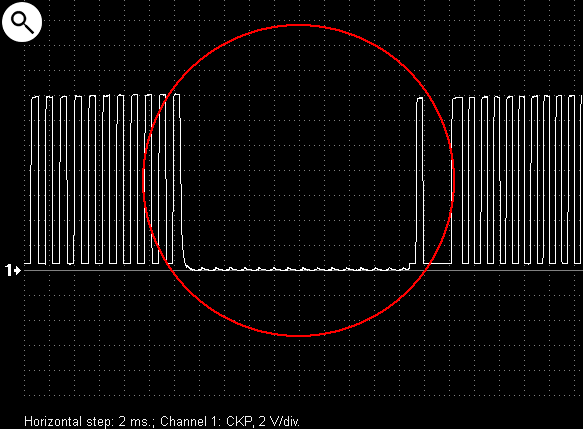 Signal from a Hall effect crankshaft position sensor on a VW Caddy 1.9SDI 2002. 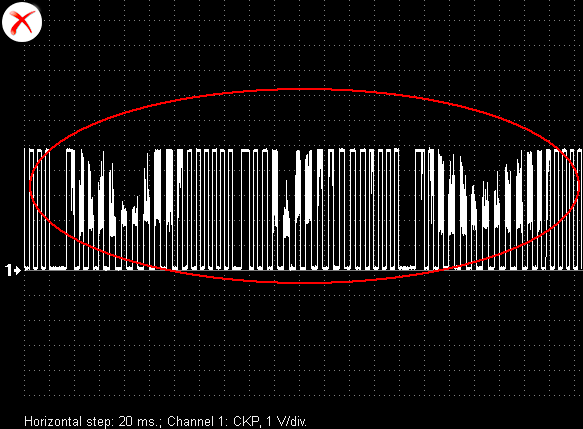 Output voltage waveforms from the crankshaft and camshaft position sensors on a Mitsubishi Pajero IV. 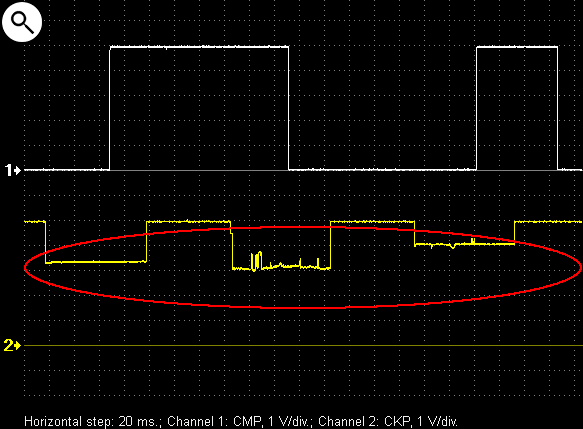 Output voltage waveforms from a malfunctioning Hall effect crankshaft position sensor. 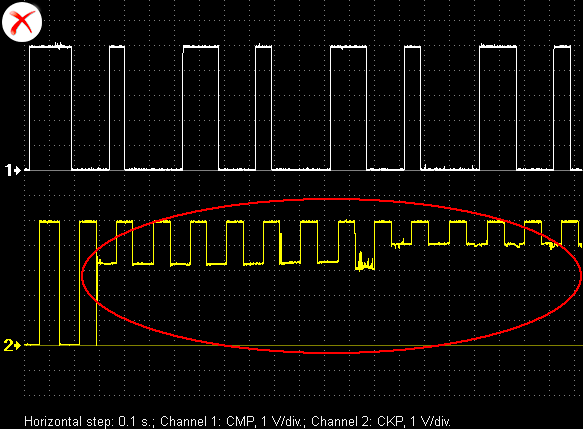 Output voltage waveform from a malfunctioning Hall effect camshaft position sensor. 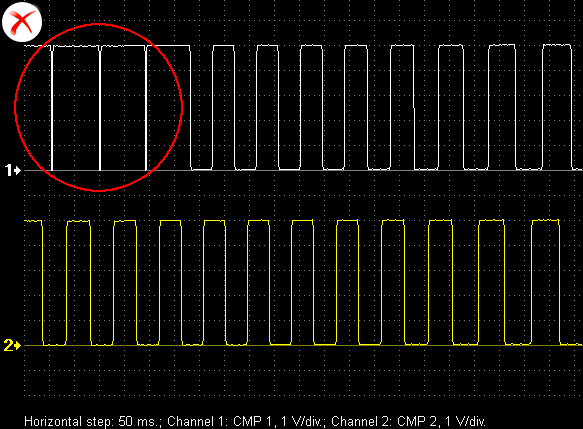 The low or “on” voltage is too high at 4.3 V. The low voltage should be 0…0.2 V.
Signal from a malfunctioning camshaft position sensor. 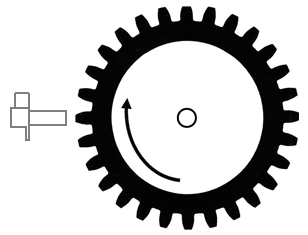 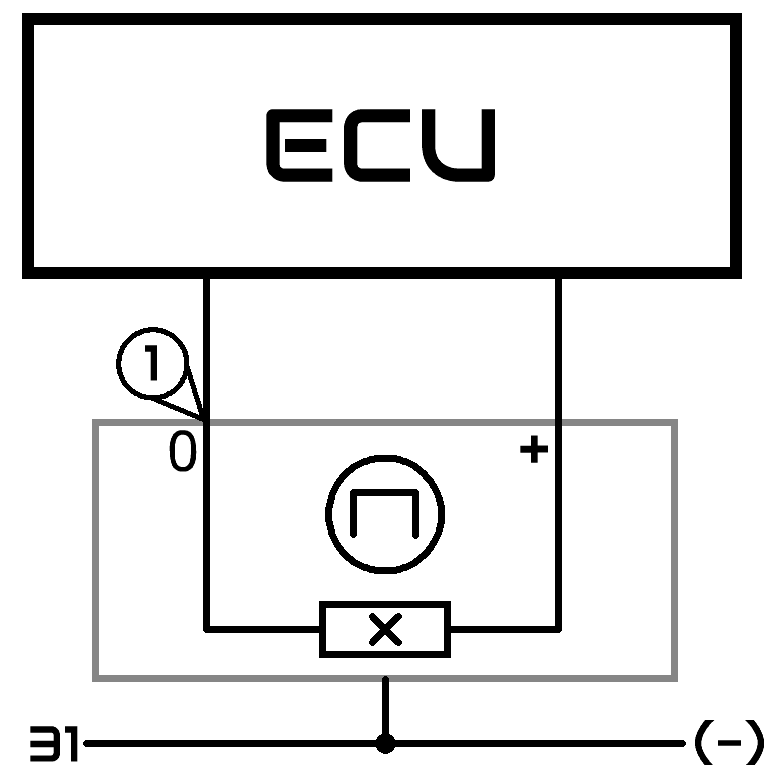 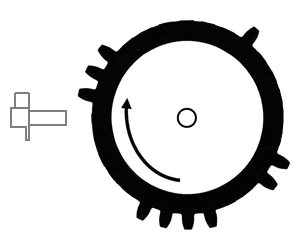 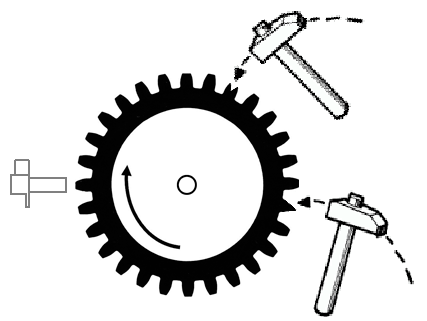 2 – signal from the camshaft sensor 2. 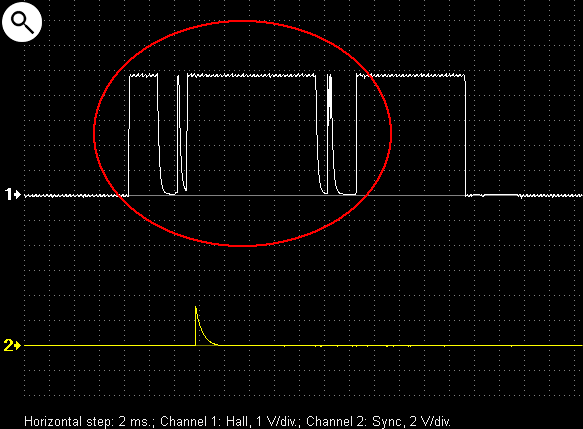 Output voltage waveforms from a malfunctioning Hall effect sensor. 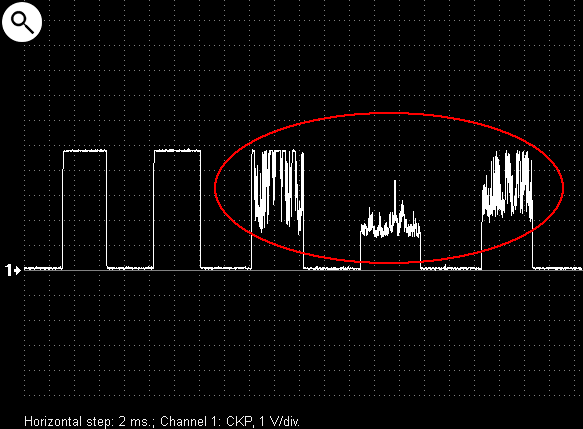 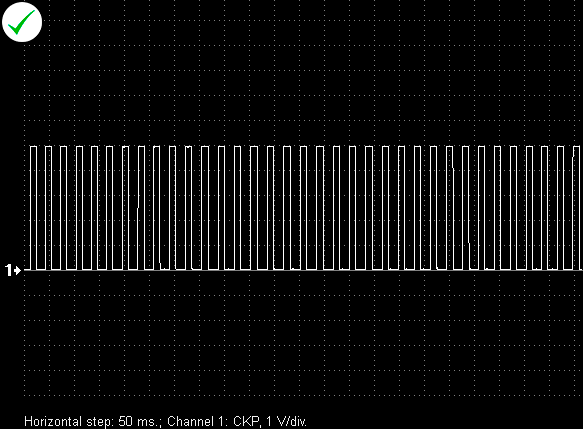 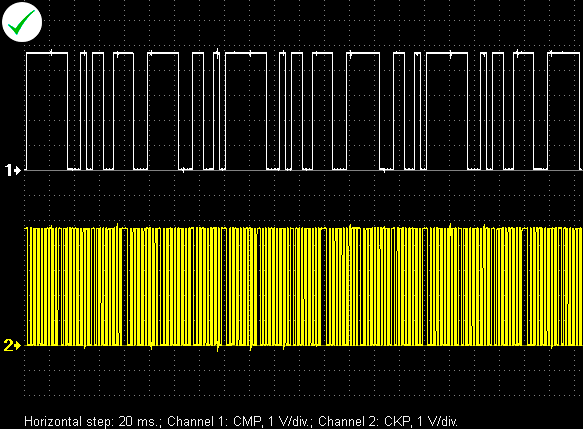 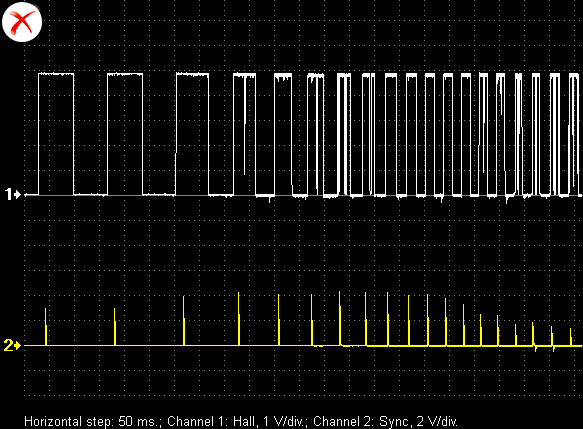 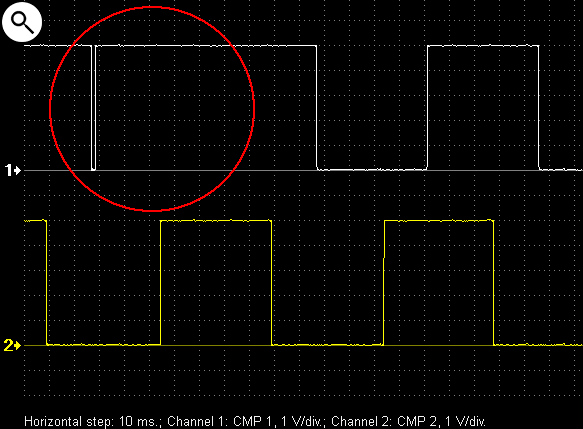 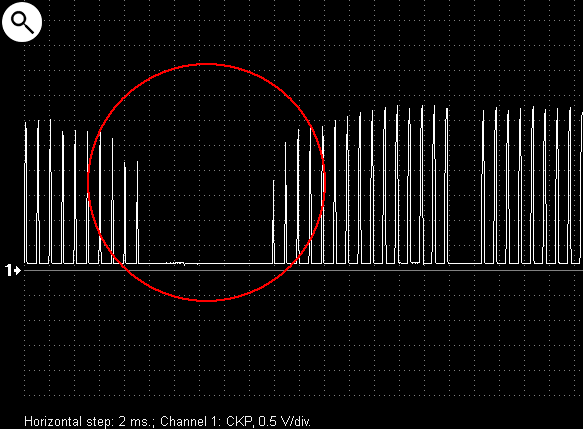 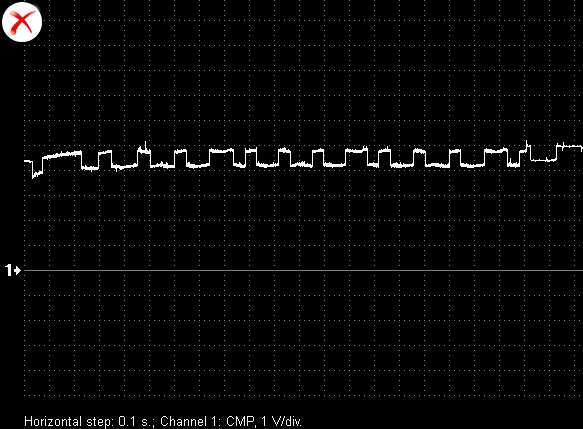 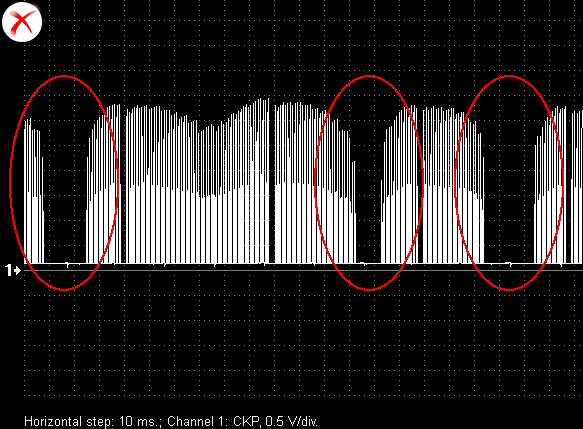 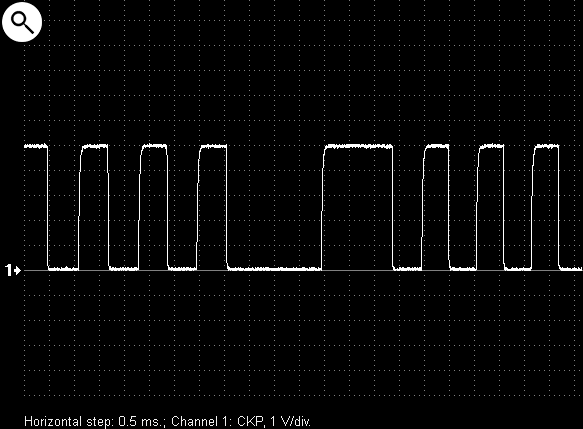 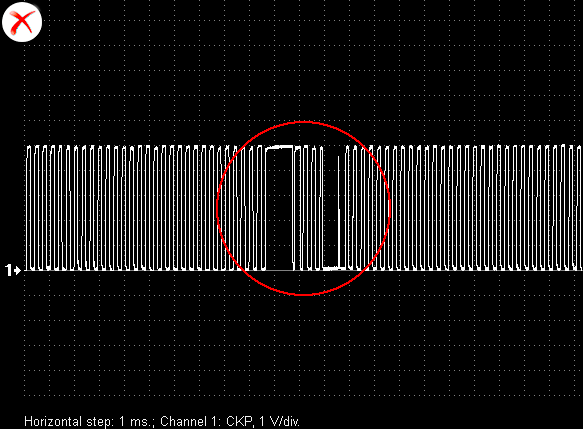 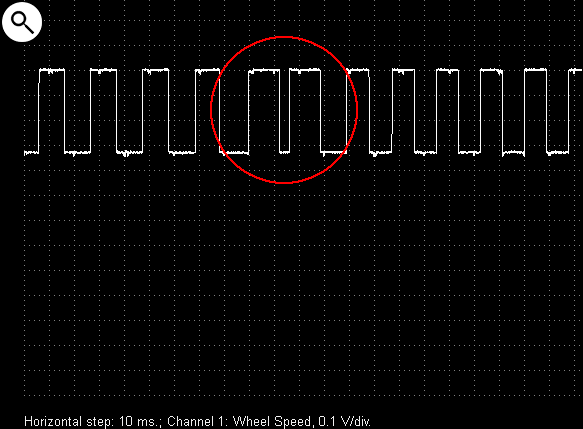 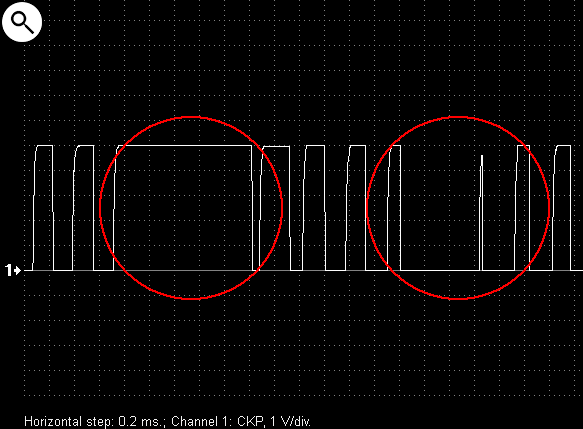 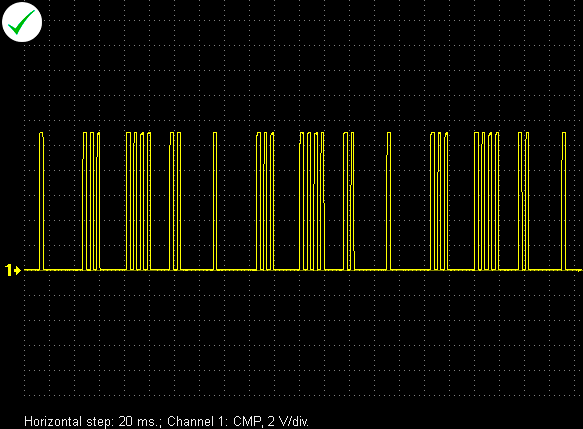 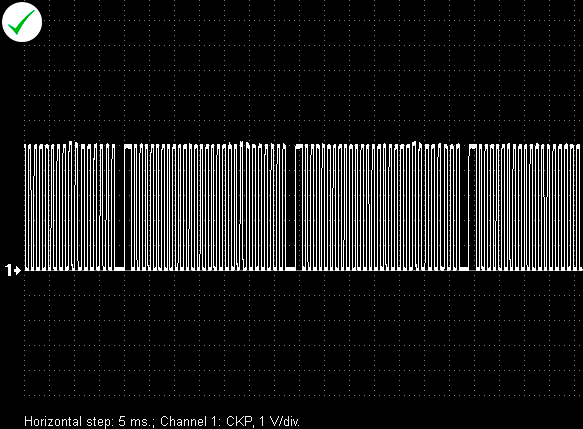 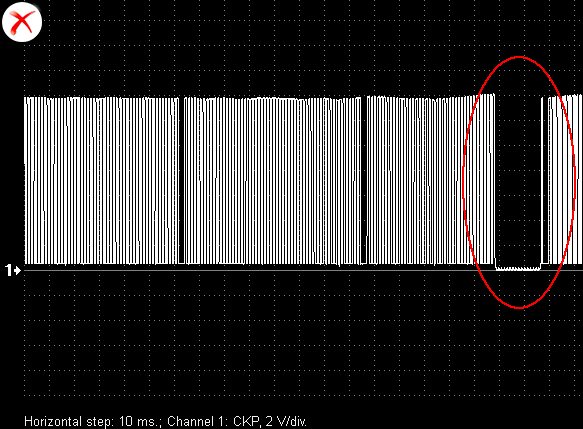 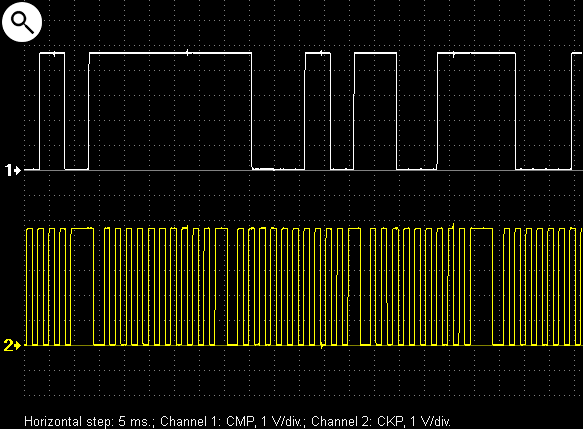 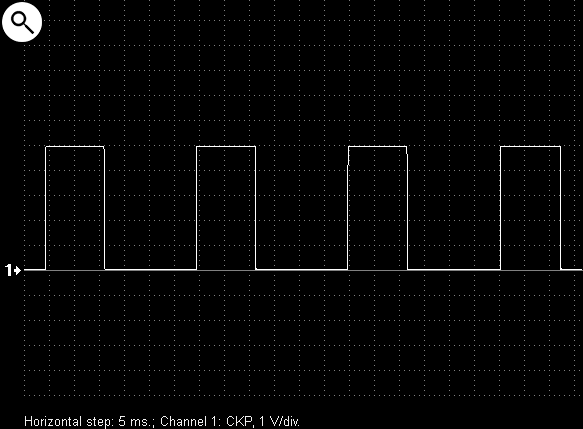 Output voltage waveform from an MR wheel speed sensor. 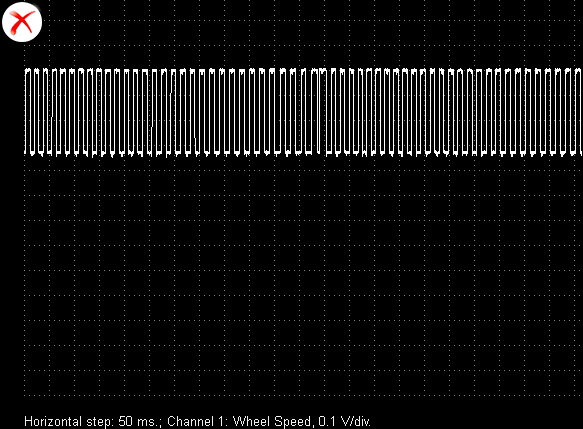 The sensor itself is working properly, but the magnet in the wheel bearing assembly is cracked or broken. 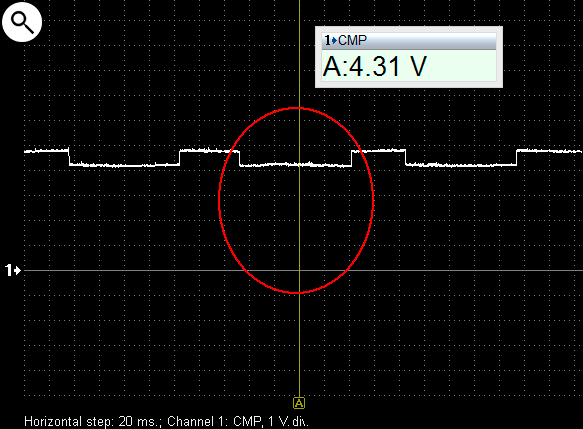 Note that these sensors are current mode versus voltage mode sensors. 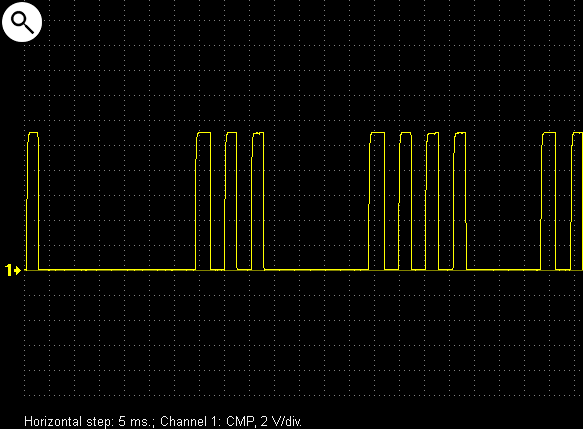 They output a varying current, Usually 7 and 14 mA.